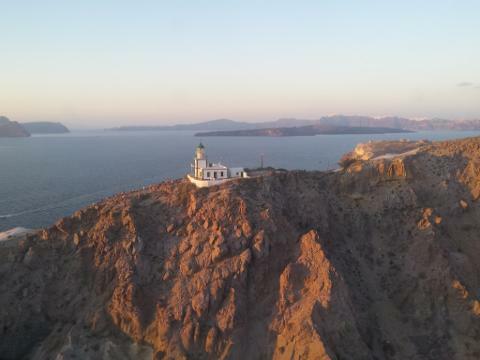 and see a selection of Santorini’s top beaches such as the red and black sand. Ogle the beaches’ red-tinged volcanic sand lapped by the sea, and look out for hideaway coves and secluded bays. 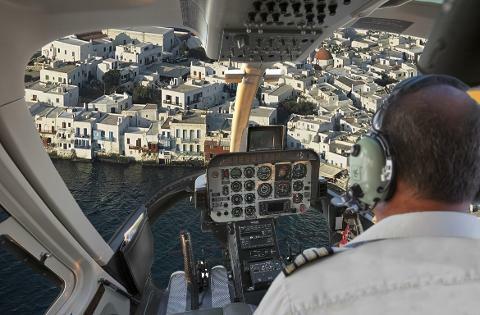 Hover over the north end of the island. 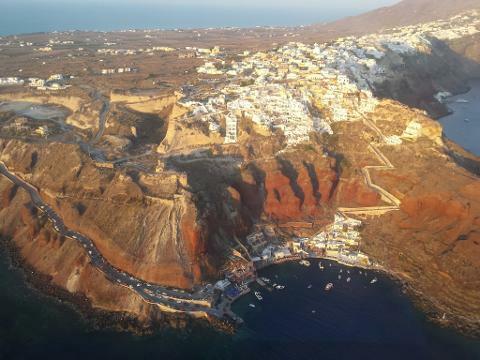 Your aerial perspective provides a great vantage point to snap a photo or 2 of the distinctive sugar cube stacks of houses and blue-domed churches in the iconic Greek village of Oia. 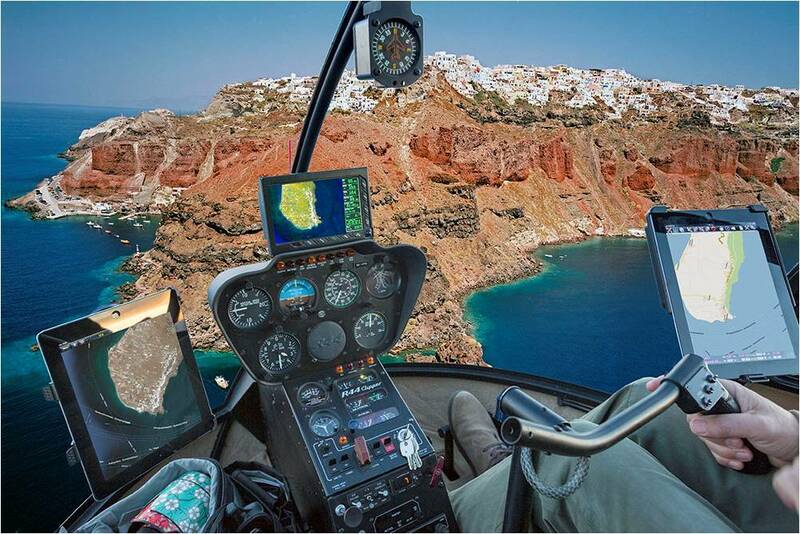 Fly back to the helipad, taking in a last glance over the rocky black cliffs rising up from the brilliant blue waters before you land. 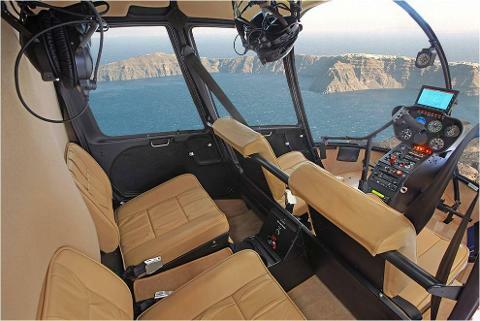 30-minute Helicopter flight above Santorini. 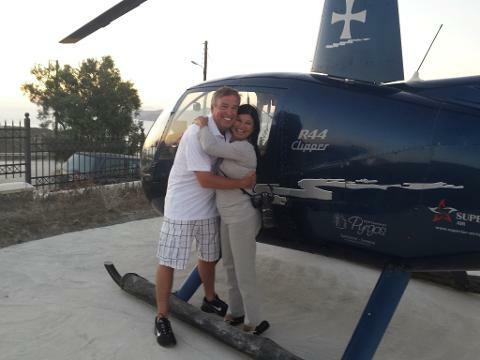 - Helicopter flight time is approximately 30 minutes. 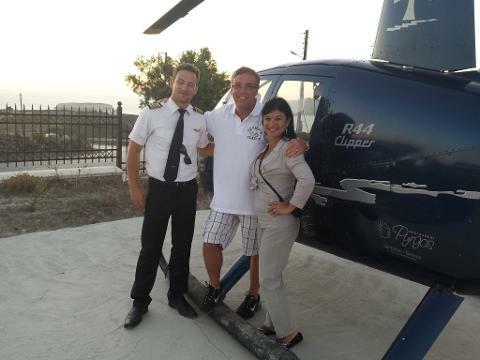 Flights are available on a daily basis at regular intervals from 09:00 until Sunset. 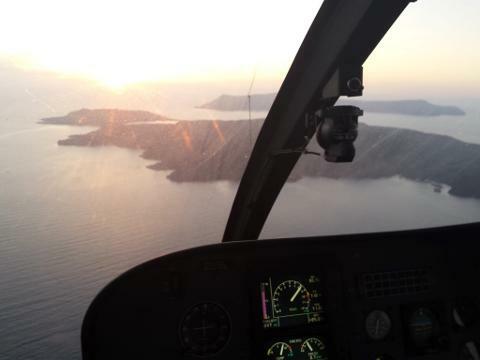 - Late afternoon flights (6pm to 8pm) are recommended since lighting conditions are better.